Science Cinema is a collection of videos shared by the U.S Department of Energy (DOE) Office of Science and Technical Information. This website is their mandated forum to share information on research done by or funded by the DOE or European Organization for Nuclear Research (CERN). In addition to videos detailing research methods or results, conference recordings, promotional materials and interviews are also available. Science Cinema videos date back to the 1980s, though the bulk of the content is from the past decade. Watch the first Plasma Experiment from the Tokamak Fusion Test Reactor at Princeton in 1983. Learn about the work of archeologists at the Idaho National Lab in a promotional video made in 2008 or the SPRUCE project (2018) at Oak Ridge National Lab studying how increased carbon dioxide due to warmer temperatures alters ecosystems. Don’t judge these videos by their thumbnail image! Science Cinema is not as flashy or easy to browse as commercial streaming sites. The basic search fields include title, author/speaker, identifier number or date. The newly redesigned interface allows you refine searches by runtime, media type, publication date, etc. Opening an advanced search under “More Options” allows you to search by subject or research organization. I did a search for the subject “biology” and found over 60 videos on X-rays, biofuels, tree genomes, microbes and biotechnology among others. Additional advanced search features allow you to search for words that occur in a video or do a fielded search identifying multimedia by abstract or other points of bibliographic data. While the interface is lacking on graphics, the easily browsable subject areas (fossil fuels, nanotechnology, energy conservation, etc) and the breadth of content makes it well worth the search. Creating a free account on the Science Cinema site allows you to build a queue or save searches. You can also easily share videos or audio clips through social media links. Remember that the DOE holds copyright on all these videos and any reuse of the material must fall under Fair Use unless an exemption is granted by the DOE. 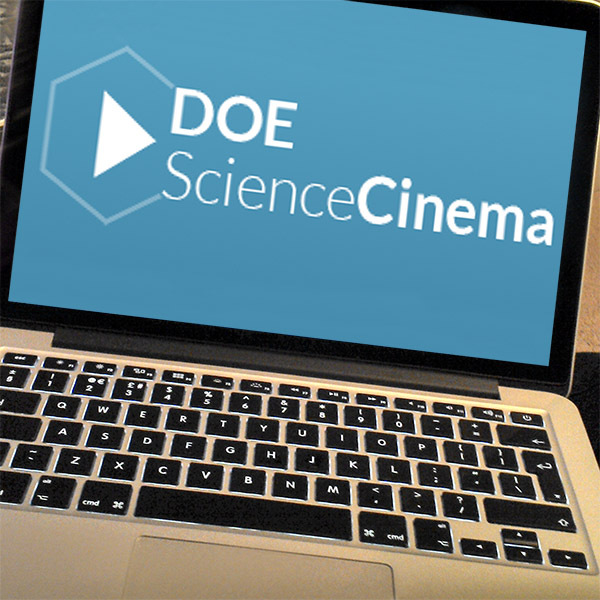 If you have questions about Science Cinema or other multimedia sites (many of which you can access through the library!) email me (clantz@uic.edu). If you’ve found a science video site that is super helpful to your research or teaching or just entertaining, please share it with me. Happy watching!